To celebrate Diono’s success in this years Lovedbyparents Awards we have teamed up to give one lucky reader an award winning prize bundle worth over £200! 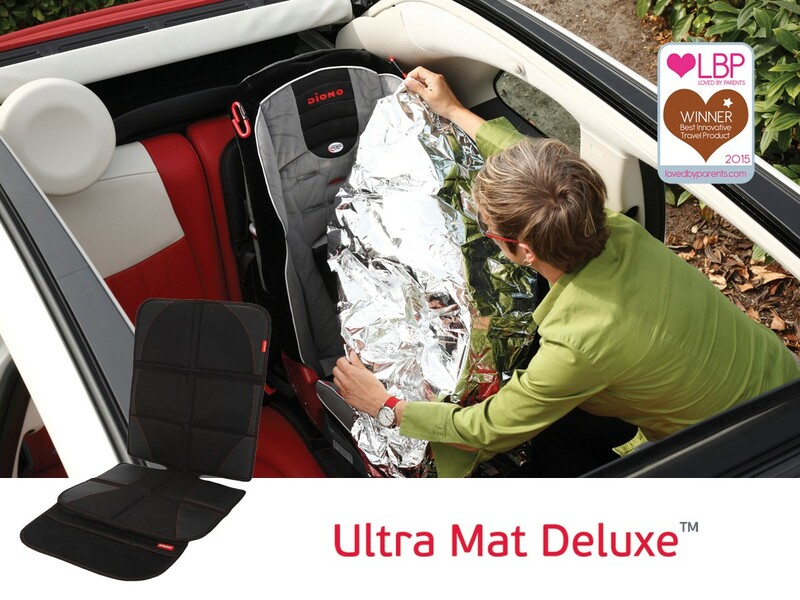 The prize includes: 1 Monterey, x2 Buggy Tech Stations, 1 Ultra Mat deluxe and 1 Easyview Plus. 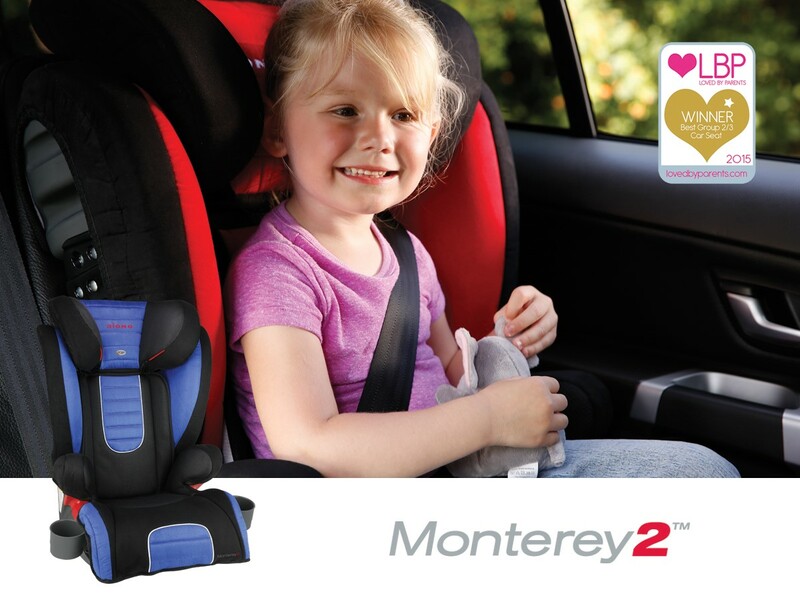 Overprotective in all the right ways, the multi-award winning Monterey2 is a full-featured, expandable high-back booster seat designed to fit a growing child up to 160cm and 36kg. The adjustable head rest and deep, aluminum reinforced sides are lined with energy absorbing EPS foam for side impact protection and the reinforced seat bottom provides extra lap belt safety. The Diono® Buggy Tech Station is the new media and essentials storage solution that keeps parents connected and organised when out and about. Holds a tablet and phone in protective touch- screen compatible sleeves to enable continual visibility and interaction when on the move. The Diono Ultra Mat Deluxe includes all the features you love about Ultra Mat™ but now with another valuable, convenient addition. The front pocket contains a fold out sun shade to protect your forward-facing car seat from the sunlight and heat. Ideal for use when the car is parked in the sun to ensure dark coloured fabrics, buckles and other seat parts stay cool. When travelling in the car and your little one is rear facing, it’s hard to check on them safely. The Diono Easy View Plus overcomes this and provides the perfect way to see your baby during the day or at night. 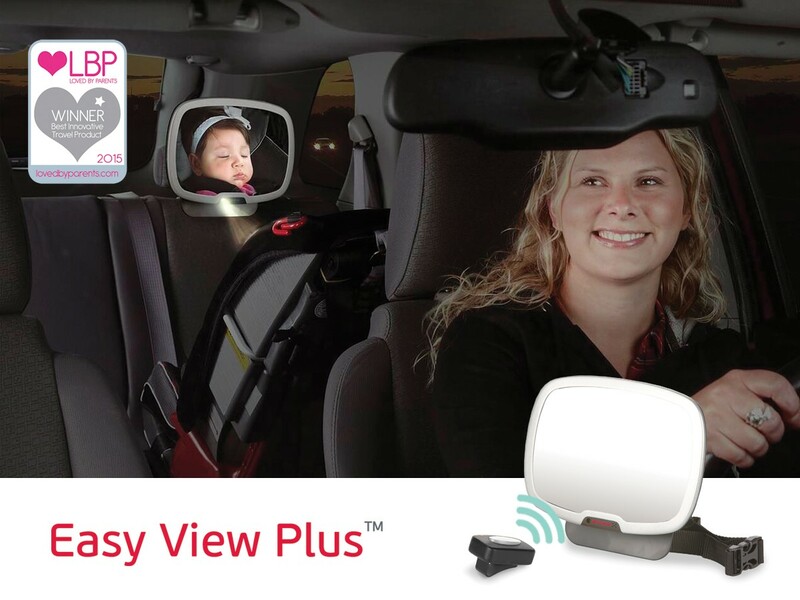 Easy View Plus™ provides an even larger crystal clear viewing mirror than our standard Easy View back seat mirror. It also has a light so you can check your baby in the dark, ideal for the shorter days during the winter. For your chance to win visit us at www.facebook.com/lovedbyparents and www.facebook.com/Dionouk give us the thumbs up, show your friends and write the word ‘family’ in the comment box competition post. Competition closes at midnight on the 19th September 2015.